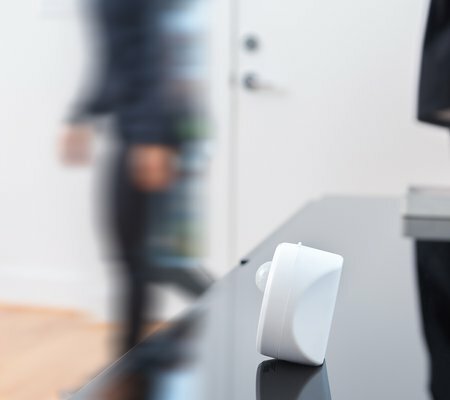 iSB01 Named 'Best Motion Sensor' by Business Insider — Live. Life. Loud. Recently, Business Insider shared a collection of ‘The Best DIY Home Security Products You Can Buy’, and iHome’s iSB01 was included in the exclusive list of Insider Picks. Named the ‘best motion sensor’, the iSB01 provides 24/7 intelligent monitoring from anywhere with internet access. The iHome iSB01 Wi-Fi Motion Sensor connects to your smartphone using the iHome app to quickly inform you that motion has been detected, letting you decide whether to call the cops, run downstairs to intervene, or to call a neighbor and ask him or her to check things out when you're away from the area. The iHome iSB01 Wi-Fi Motion Sensor is battery powered, so it's easy to set it up anywhere without the need for access to an outlet. It's lightweight and compact, so it can be tucked on a shelf or wall-mounted as fits your needs. To further enhance a property's security, the iHome iSB01 Wi-Fi Motion Sensor can be paired with iHome Smart Plugs, so you can program a system that switches on a light (or a radio, television, or anything else) when the motion detector senses movement. Read the full article here, and explore all the features of the iHome iSB01 here!